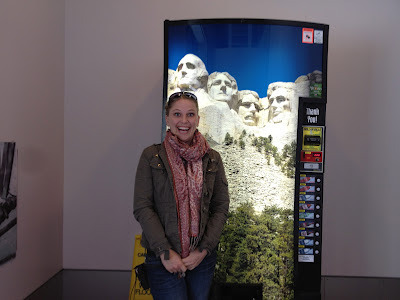 After driving 11 hours to visit Mount Rushmore, I was so happy to finally see it in person. Wow, and on such a nice day, too! I'm thinking of taking this photo & cropping it so as to just see your head mounted to the lower left of all of the others. Turn it to sepia. Claim that you are the Lost President of Mt Rushmore.